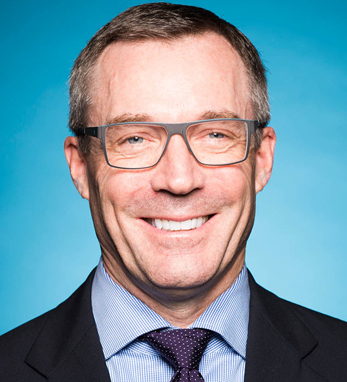 As the recently-appointed senior vice president of people for American Airlines, Patrick J. O’Keeffe is responsible for all aspects of traditional human resources functions within the company. He also oversees benefits and wellness programs, as well as supports business units through people business partners. Born in San Francisco, Patrick lived in Kanturk, County Cork, during his teen years and graduated from the University of Limerick with a B.A. in business studies, accounting, and finance. He is a first-generation Irish American, with his mother’s family rooted in Coleman’s Well, County Limerick and his father’s in Newmarket, County Cork. “Mom and dad were both from big families and immigrated to the U.S. when they were in their late teens,” Patrick says. “They met in San Francisco and realized they had the same last name, and grew up 30 miles apart in Ireland.” Patrick eventually moved to the U.S. himself, beginning his studies at Rice University in Texas for an M.B.A. He and his husband, Frankie Perez, live in Texas.